Thinking about planning a bachelor or bachelorette party weekend in Gatlinburg, Pigeon Forge, and the Smoky Mountains? Gatlinburg is a perfect destination for a bachelor or bachelorette trip! 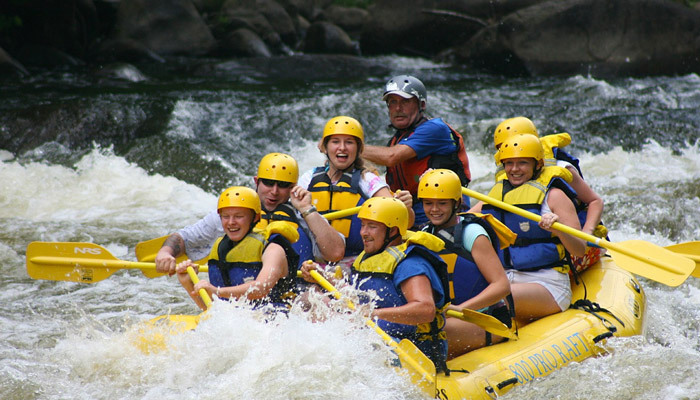 With incredible sights like the Great Smoky Mountains National Park to fun attractions like mountain coasters, zip lines, and whitewater rafting, there's something for everyone to enjoy. Better yet, the beautiful mountains of Tennessee are the perfect place to make memories with your closest friends before you celebrate your wedding day. To help you plan an unforgettable trip, we've made this list of the top ideas for what to do on your Gatlinburg bachelor or bachelorette trip! 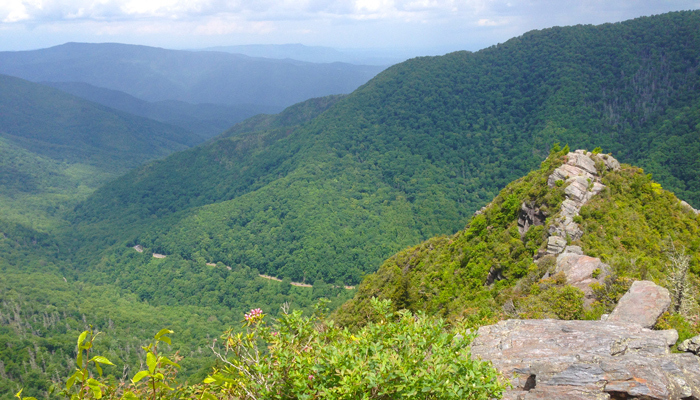 Any trip to Gatlinburg would be incomplete without spending some time in the Great Smoky Mountains National Park! Since Gatlinburg is located just outside of the national park boundary, you'll be only minutes away from beautiful waterfalls, impressive overlooks, wildlife, and historic homesteads. To plan an awesome day in the mountains, check out our guide on the best waterfalls near Gatlinburg or the top sights in the Smokies! 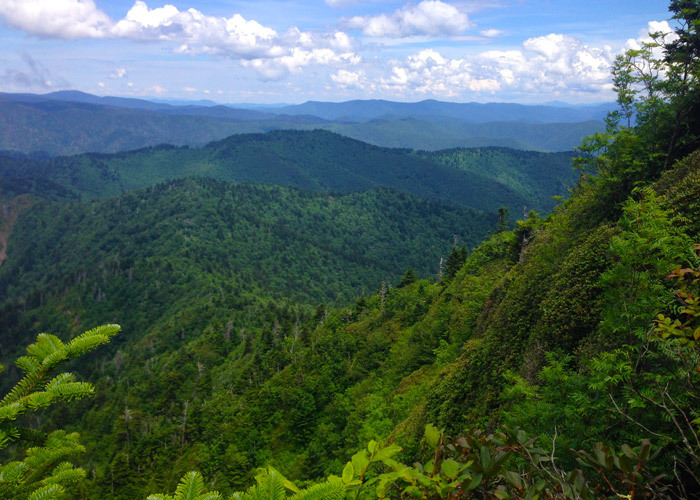 If your group prefers to enjoy the beauty of nature from the comfort of a car, be sure to check out the 11-mile Cades Cove Loop Road or just drive to Newfound Gap or Clingmans Dome high in the mountains. After a great day exploring the beautiful national park, you can look forward to a fun night on the town in Downtown Gatlinburg! Gatlinburg has its fair share of nightlife to experience with your best pals and several bars offer dancing, karaoke, or pool tables. Hogg's Upstairs Taverne (HUT) – A Gatlinburg classic that boasts a balcony, live music, a dance floor, and pool tables. Puckers Sports Bar & Grill – A fun late-night sports bar in Gatlinburg with great food, pool tables, and karaoke. Blaine's Bar & Grill and Club 812 – You'll find Gatlinburg's only nightclub located in Blaine's in the heart of Downtown Gatlinburg complete with a balcony, DJ, and a large dance floor. 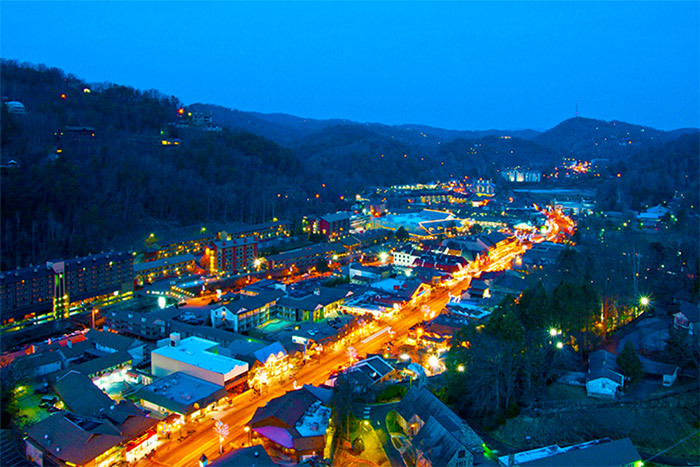 Apart from the late night bars, Gatlinburg's Downtown is the perfect place to go for a relaxing stroll. There are numerous shops and restaurants to enjoy and you can even enjoy a panoramic view of the mountains from the 407' Gatlinburg Space Needle. When visiting Gatlinburg it's a great idea to sample some moonshine, an old Appalachian favorite: moonshine! This local liquor has deep roots in Gatlinburg's history and now you can try it for yourself at one of Gatlinburg's Downtown Distilleries. The original "white lighting" might be too strong for some, but there are plenty of sweetened flavors including apple pie, blackberry, peach, butterscotch, and more! If moonshine and whiskey don't suit your palate, Gatlinburg is also home to some local wineries and breweries. Bootleggers Homemade Wine – Specializing in local classics like muscadine, blackberry, and strawberry wine, this Downtown Gatlinburg winery is known for its variety of sweet, fruit-flavored wines. Smoky Mountain Brewery – This local brewery in the Smokies best spot in Gatlinburg for local craft beer. To truly pamper a bride-to-be, why not book a day at a Smoky Mountain spa? Pamper yourself at one of these excellent spas near Gatlinburg that offer pedicures, manicures, facials, waxing, massages, and more. These spas even offer group packages that are perfect for bachelorette parties. For some more self-care, you can also treat yourself with a trip to Tanger Outlets to experience the best shopping in the area. For your last hurrah before married life, why not go for a thrilling outdoor adventure? If you want to enjoy some more tame attractions, there are plenty of fun things to see like Anakeesta in Gatlinburg, Dollywood Theme Park, and Ripley's Aquarium of the Smokies. If you and your friends enjoy some goofy fun, Gatlinburg is a perfect option. After all, nothing beats some competition with your hilarious friends whether you're racing at a go-kart track or just trying to outdo your pal in a high stakes game of put-put. For a fun throwback, you could also play a fast-paced game of lazer tag. Another fun activity for groups in Downtown Gatlinburg are Escape Games, the perfect place to test your team's ability to function under pressure and have a good laugh. You could also have a blast at an "Old Time Photo" parlor, where you can dress up in old western dress for a fun keepsake with your closest friends. Bachelor and Bachelorette Parties are all about spending time with your closest friends before you celebrate your big day. Luckily, booking a log cabin rental is an affordable way to stay in the Smokies while also ensuring you'll get to catch up with the people who matter most. Cabins also come complete with luxurious amenities like hot tubs, game rooms, theater rooms, swimming pools, and decks with mountain views, so you can truly unwind with your friends. Whether you're reminiscing while you gather around the outdoor fire pit or just enjoying a refreshing beverage on your cabin's deck, you'll be glad you reserved a Smoky Mountain log cabin to mark this special occasion. 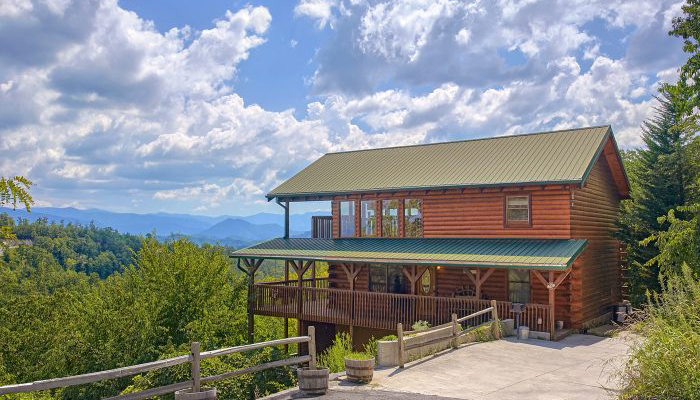 Feel free to contact us at (865) 436-5031 and we'll be glad to help you find the perfect cabin for your bachelorette or bachelor vacation in the Smoky Mountains.